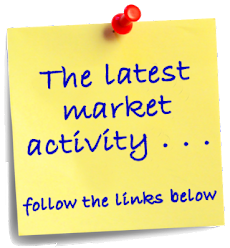 Florida Keys Market Update: Where have all the listings gone? Ask any local REALTOR® and you will hear the same thing - "I need listings". Compared to this time last year, listing inventory is considerably lower. This is great news if you are a seller, because with fewer homes to choose from, buyers may act quicker on making a purchase, for fear of losing out. Sales prices also start to get closer to asking price. 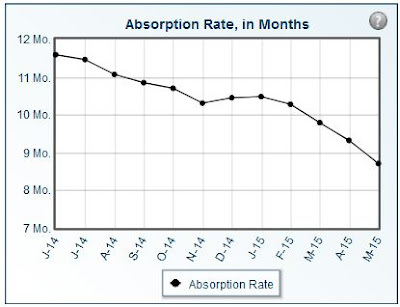 In June of 2014, the absorption rate was 11.59 months. In mid May 2015, it has dropped to just 8.7 months. Here's how it works: The Absorption Rate, in Months chart shows how long the current inventory of properties would last at the current rate of sales. If no new properties were added to the market, and sales continued at a steady pace, the Absorption rate indicates the number of months required to sell all the properties on the market. The average number of listings sold per month for the previous n months. The number of active listings is a "snapshot" of listings active on a single day (the 15th of the month). The number of months of sold listings, here, is 12. N = the average number of listings sold during each of the previous 12 months.